Girls who fled their homes with their families peek out of their makeshift school at a camp for displaced Syrians in the village of Atmeh, Syria, Dec. 10, 2012. 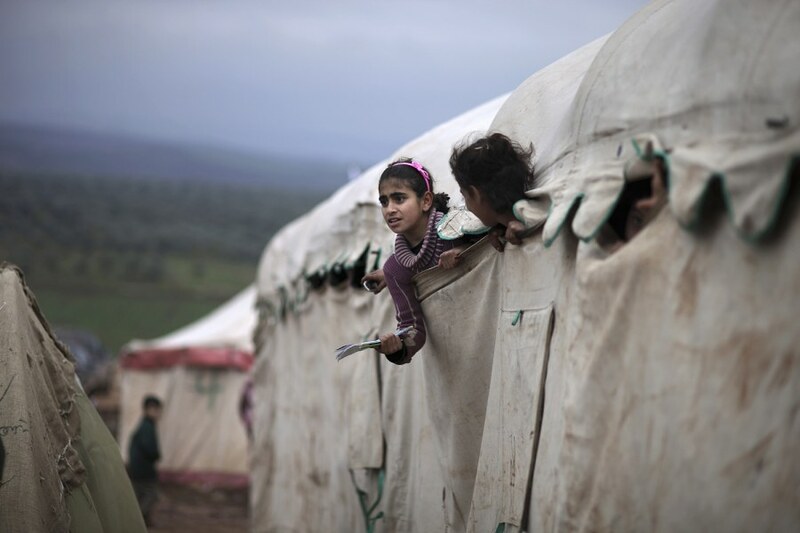 ATMEH, Syria (AP) — This tent camp sheltering Syrians uprooted by their country's brutal civil war has lost the race against winter: The ground under white tents is soaked in mud, fights erupt over scarce blankets and volunteer doctors routinely run out of medicine for coughing, runny-nosed children. The 21-month-old battle to bring down President Bashar Assad has already forced some 3 million Syrians from their homes, according to a new estimate, and cold, wet winter weather is making life increasingly unbearable for the displaced. EDITOR’S NOTE: all images made available to NBC News on Dec. 11. 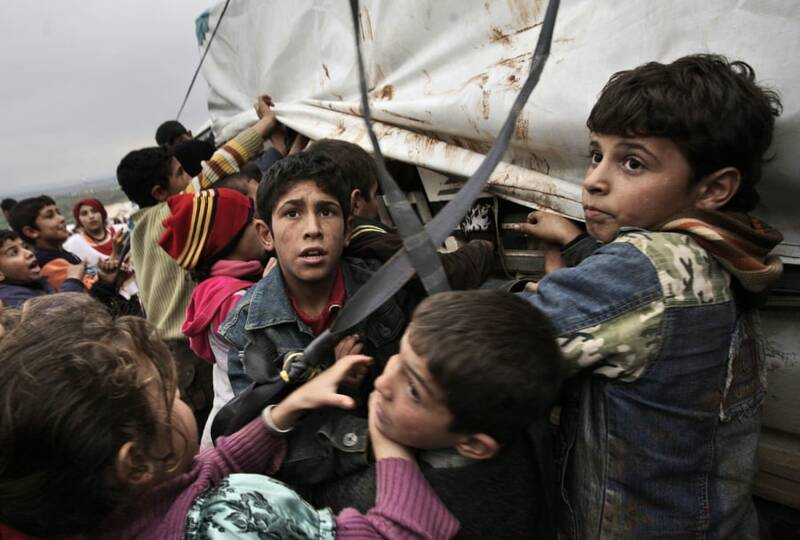 Children gather around a vehicle to get pillows and blankets distributed at a camp for displaced Syrians, in the village of Atmeh, Syria, Dec. 10. 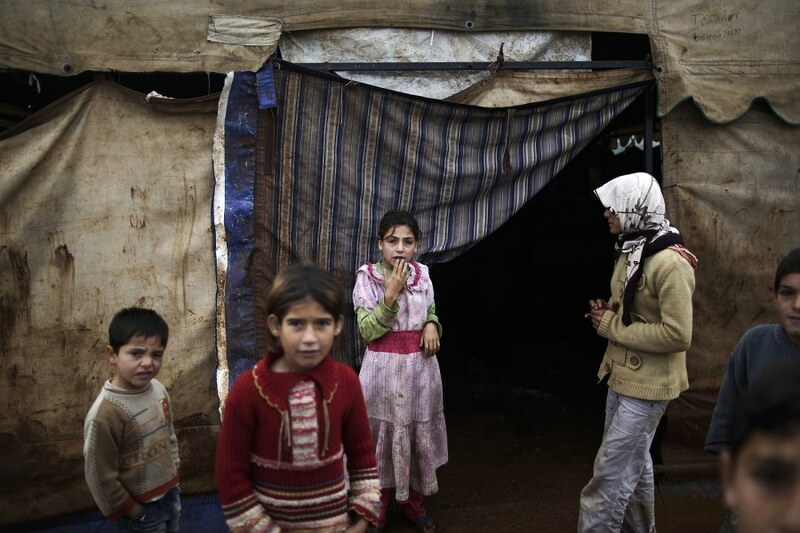 Children stand at a camp for displaced Syrians in the village of Atmeh, Syria, Dec. 11. 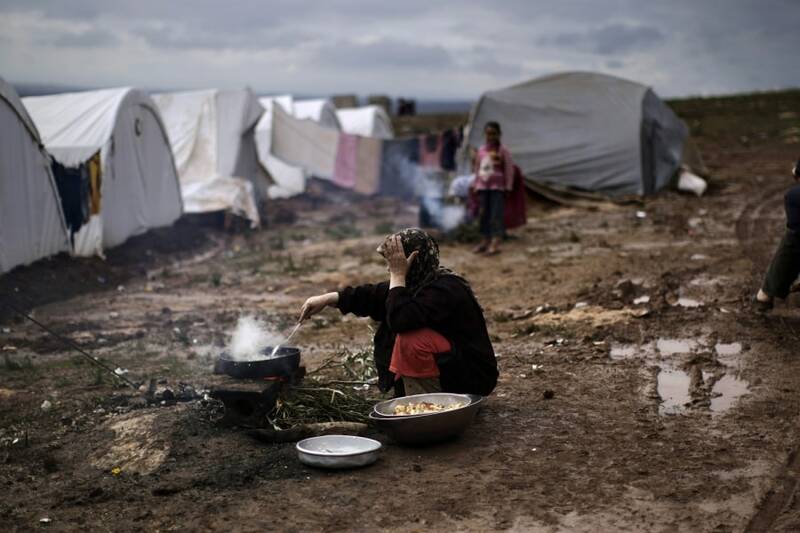 A woman cooks for her family outside her tent at a camp for displaced Syrians in the village of Atmeh, Syria, Dec. 11. 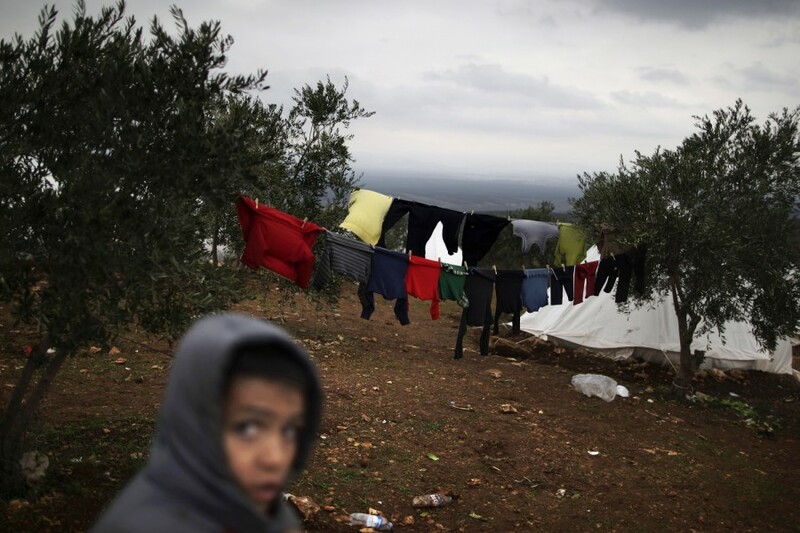 A boy walks back to his tent at a camp for displaced Syrians, in the village of Atmeh, Syria, Dec. 10.